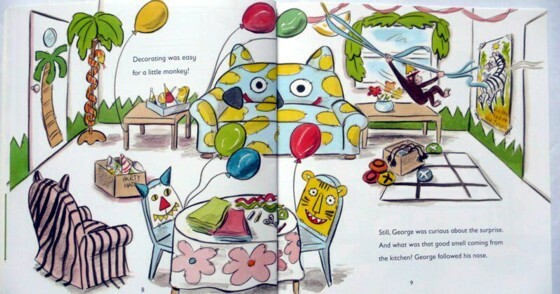 When the man with the yellow hat tells George that he is planning a surprise, of course George is curious. 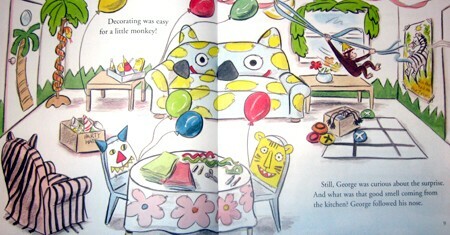 Before long George finds a hat, noisemakers, decorations, and games. It must be a birthday! But whose birthday is it? That"s the surprise! These were used as favors for my son's 5th birthday party. I added a little sticker inside to thank everyone for coming. 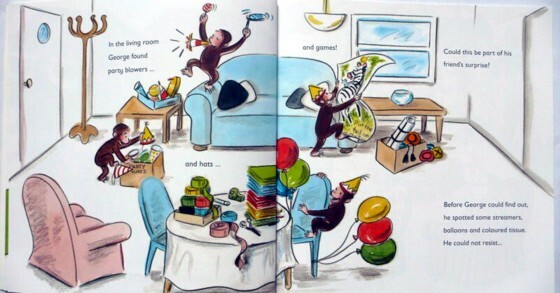 It's a great story, a familiar and cuious monkey and it even includes some fun games in the back. Many parents thanked me for encouraging their kids to read and most of all for not giving junk and candy. Hans Augusto Rey was born in Hamburg, Germany in 1898. As a child, he spent much of his free time in that city's famous Hagenbeck Zoo drawing animals. After serving in the army during World War I, he studied philology and natural science at the University of Hamburg. He then married Margret Rey and they moved to Montmartre for four years. 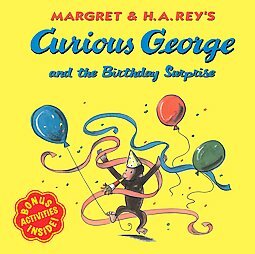 The manuscript for the first Curious George books was one of the few items the Reys carried with them on their bicycles when they escaped from Paris in 1940. 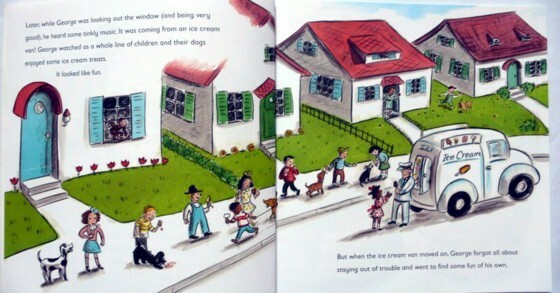 Eventually, they made their way to the United States, and Curious George was published in 1941. 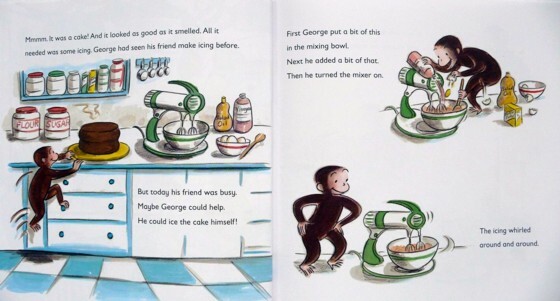 Curious George has been published in many languages, including French, German, Japanese, Afrikaans, and Norwegian. Additional Curious George books followed, as well as such other favorites as CECILY G. AND THE NINE MONKEYS and FIND THE CONSTELLATIONS. 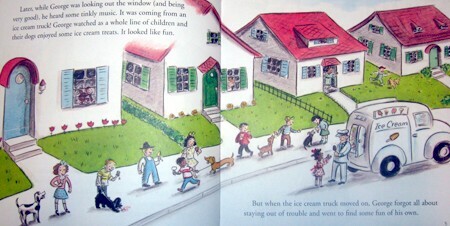 Martha Weston was the author and illustrator of two charming picture books about Tuck, as well as the illustrator of Clarion's successful Owen Foote books by Stephanie Greene. Martha Weston died in 2003.